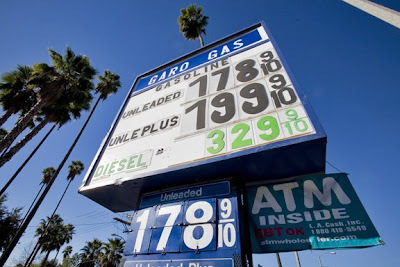 The latest gas prices in the LA Area. Garo Gas and Fastop on Washington Blvd. in Pasadena duel it out to be the lowest. Each station will out do the other by a penny, which will translate to huge sales over the other station. 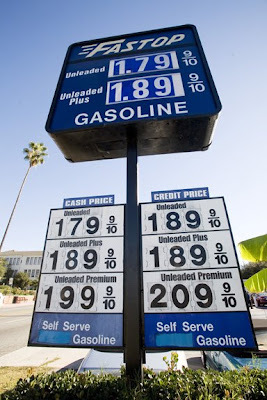 The gas stations are located next to each other.